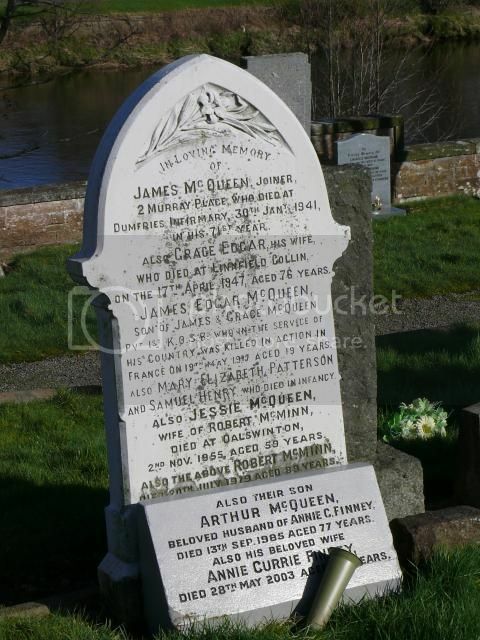 Son of James and Grace McQueen, of Glencarrick, Duncow, Dumfries. Grave ReferenceSp. Mem. B. 107. 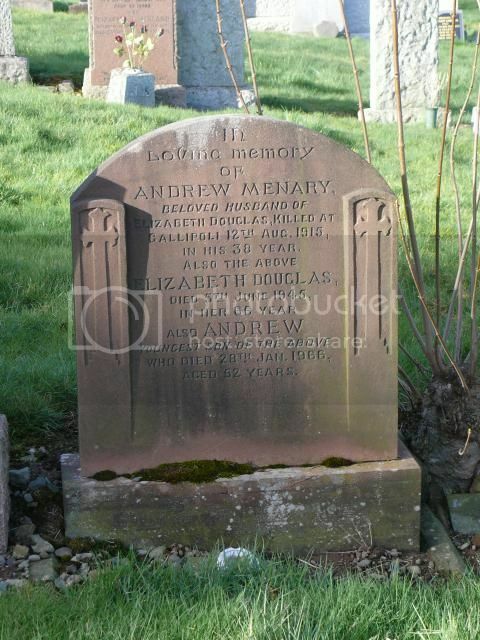 Husband of Elizabeth Menary, of 8, Mill Rd., Maxwelltown, Dumfries. Grave Reference86. North half. Sec. 18. 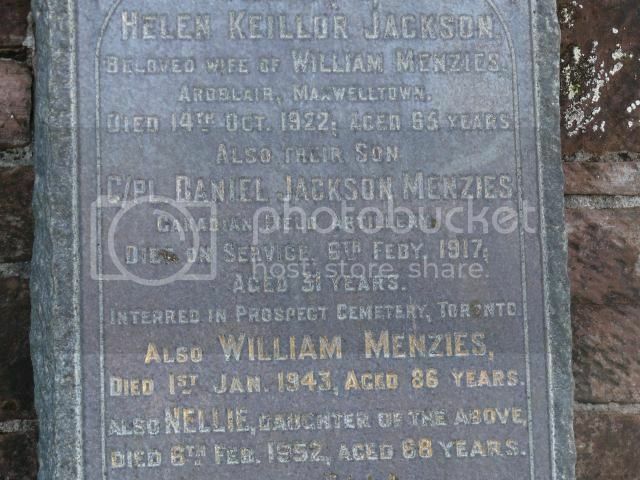 Son of William and Ellen Jackson Menzies, of "Archblair," New Abbey Rd., Maxwellton, Dumfries, Scotland. Son of David and Johanna Muir, of Dumfries. 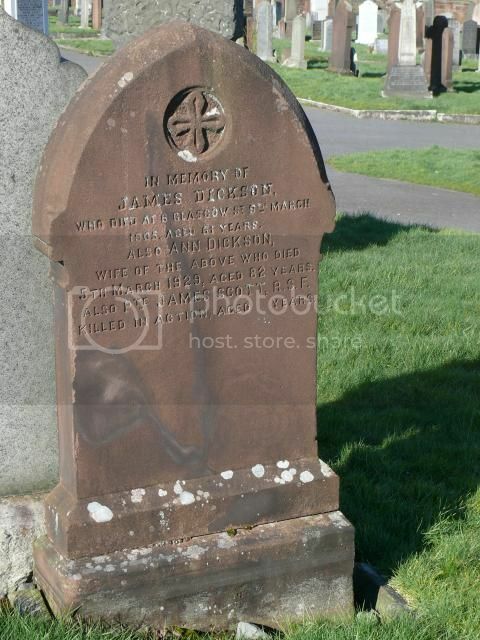 This man is named on the Southwick War Memorial in Kirkcudbrightshire. 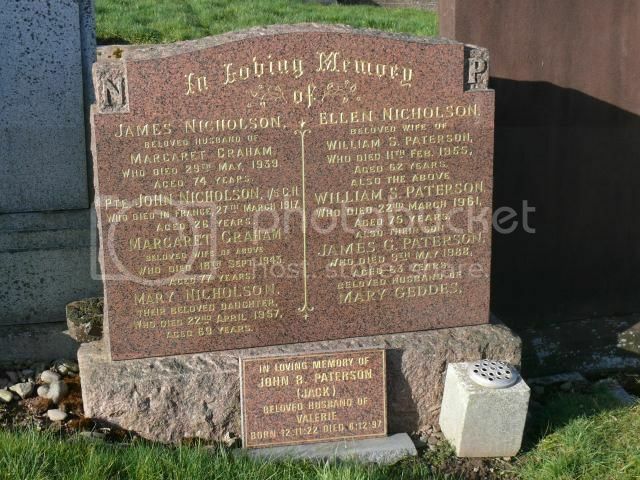 John Nicholson – age 26 – Private (219309) 1/7th Battalion Gordon Highlanders. 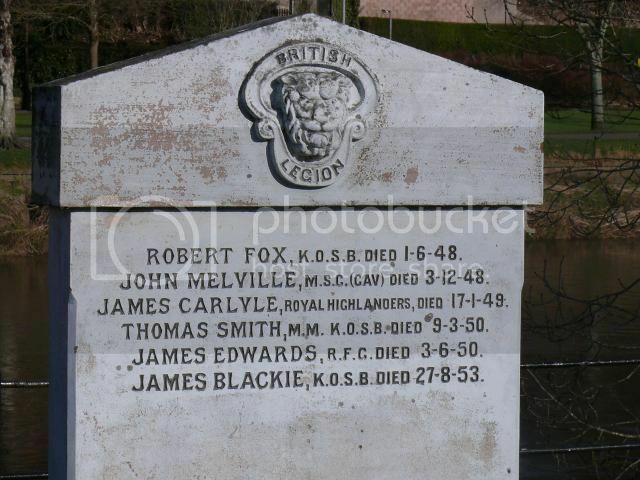 Enlisted 5 August 1914 3/5th Battalion, King's Own Scottish Borderers. 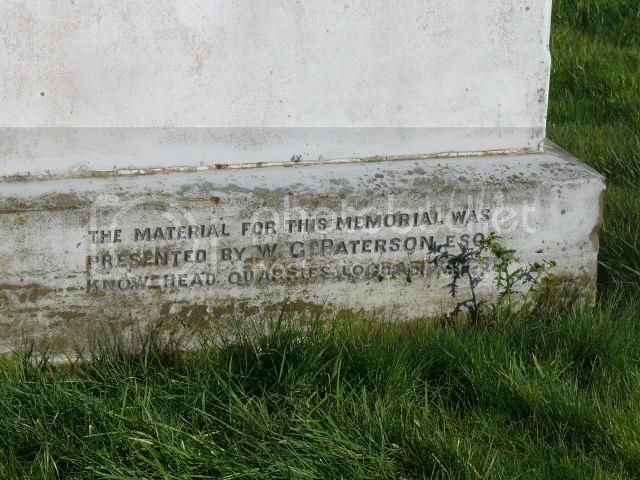 Son of James and Maggie (Graham) Nicholson of Mainsriddle, Southwick. Panel ReferencePanel 84 to 92 or 220 to 222. 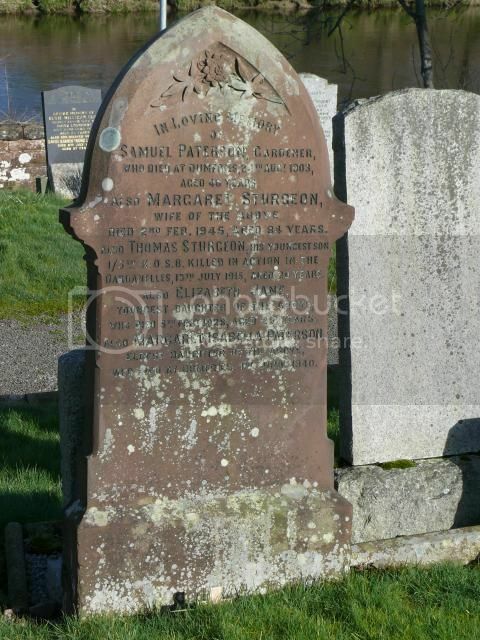 Son of Margaret Paterson, of 1, Howgate St., Maxwelltown, and the late Samuel Paterson. Panel ReferencePanel 66 to 68. 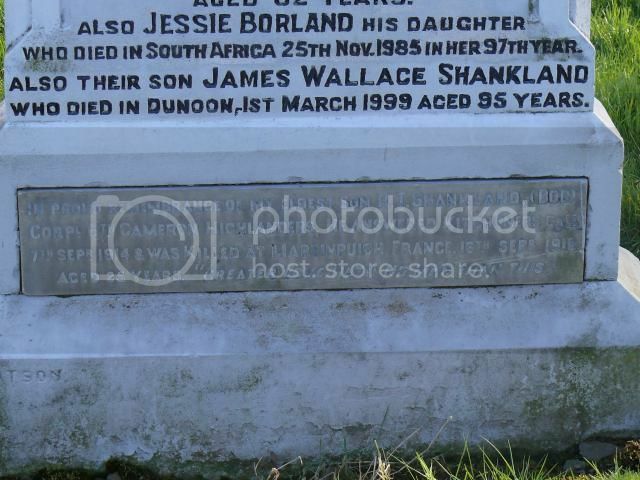 Son of Mrs. J. Roddick, of 56, Glasgow St., Maxwelltown, Dumfries, and the late John Roddick. DICKSON, JAS. S. PTE. R.S.F. 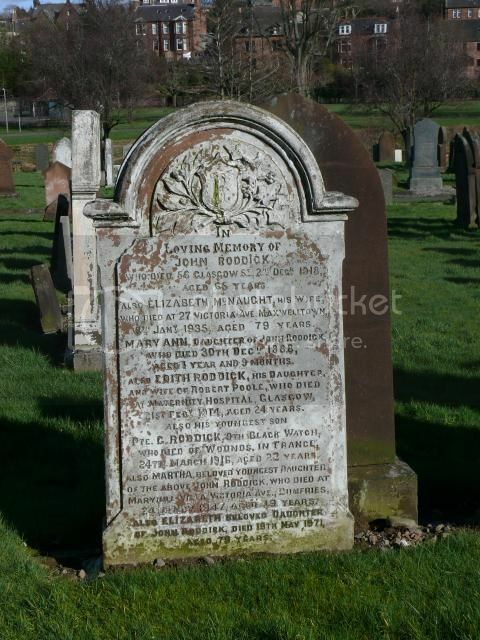 James Dickson Scott – age 19 – Private (19251) 2nd Battalion, Royal Scots Fusiliers. Son of William and Helen (Chisholm or Dickson) Scott of Howgate Street, Maxwelltown. Killed in Action – 30 July 1916. He is named here with his grandparents. Two brothers, the sons of the late Sergeant John Wallace. 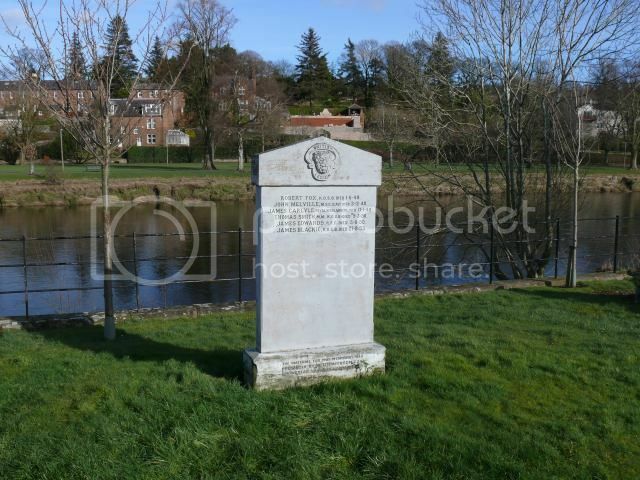 Oddly George is named on the Dumfries War Memorial while his brother John is named across the River Nith on the Maxwelltown War Memorial. 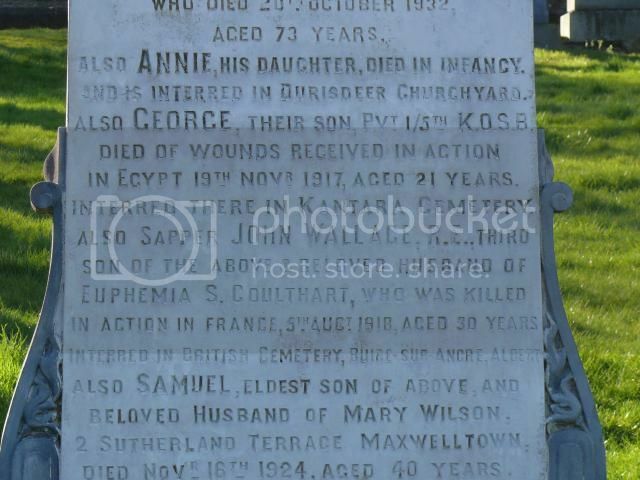 Son of Annie Wallace, of 117, Loreburn St., Dumfries, and the late Serjt. John Wallace. 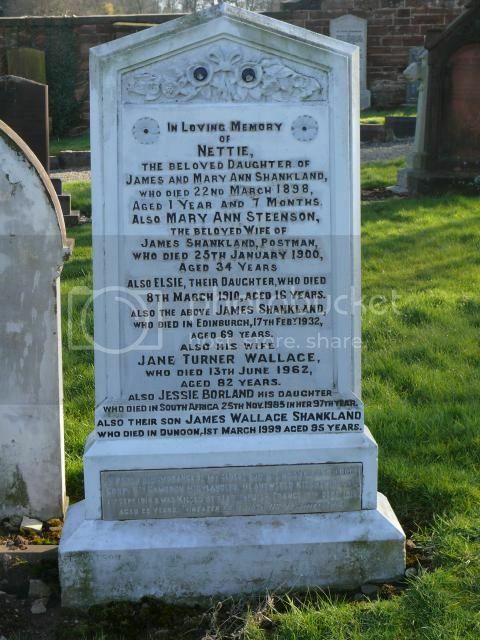 Husband of Euphemia Stewart Wallace, of 3, Observatory Terrace, Maxwelltown, Dumfries. These photos by "spoons" are interesting. As far as I can tell none of those named were serving and are not listed on the Armed Forces Memorial. Whatever the reason ( and I'm still trying to find out) the setting is beautiful. 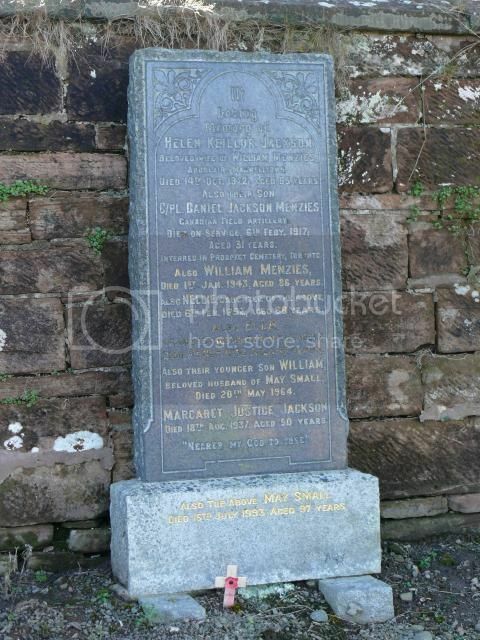 They show that the Dumfries and Maxwelltown Branch of the British Legion purchased burial plots in March 1926. It looks as though these were for ex-servicemen who had fallen on hard times. 2 of the burials (in 1933) were from the Crichton Royal Institution (the psychiatric hospital). 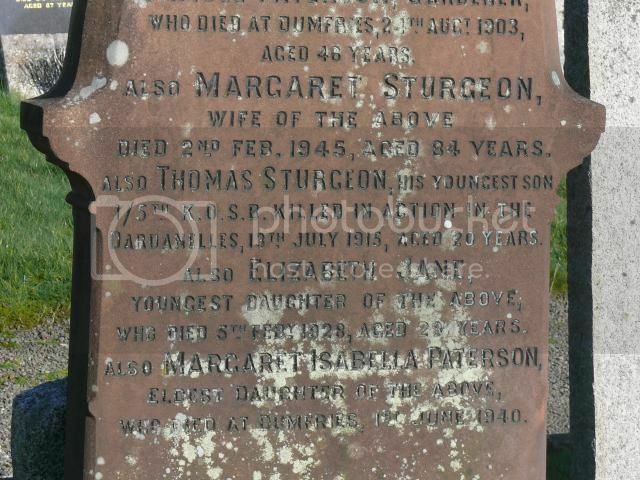 3 burials (1934, 1939 & 1941) were from the Dumfries Royal Infirmary. 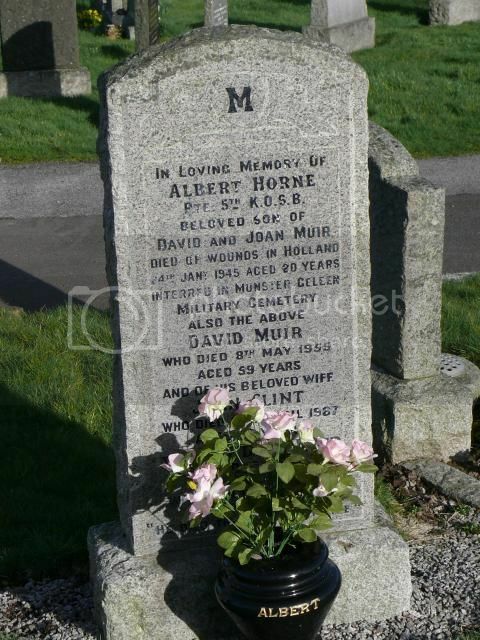 2 burials (1937 & 1939) were from Rosevale House (the Poor House) and 1 (1945) was from the Municipal Hostel. 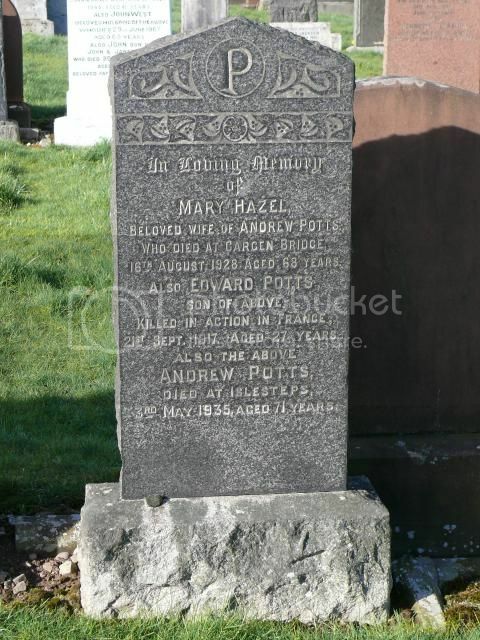 The Burghs of Dumfries and Maxwelltown did not merge until 1929 so I suspect that burial plots were purchased in both parishes.